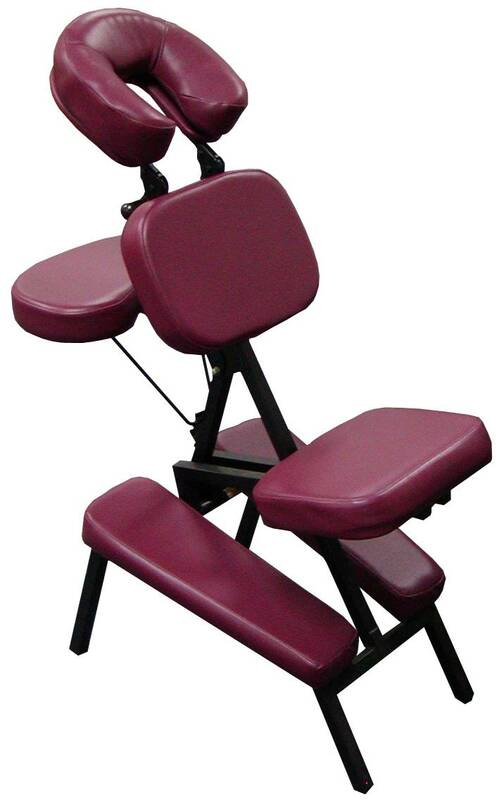 Fully adjustable portable massage chair, can accommodate clients from 4'3" to 7' tall. Portable massage chair that is adjustable in height and angle for maximum comfort. Accommodates clients from 4'3" to 7' tall. Made of quality vinyl and metal that is easily foldable for transportation or storage. Features tiltable face cradle for ultimate comfort. Also great for tattooing. Dimensions: Seat (L x W)=(14.5" x 10.5"), H = 47"
Available in Burgundy, and Green. Please select your choice.